The project list offers you several options to find a project you are looking for. 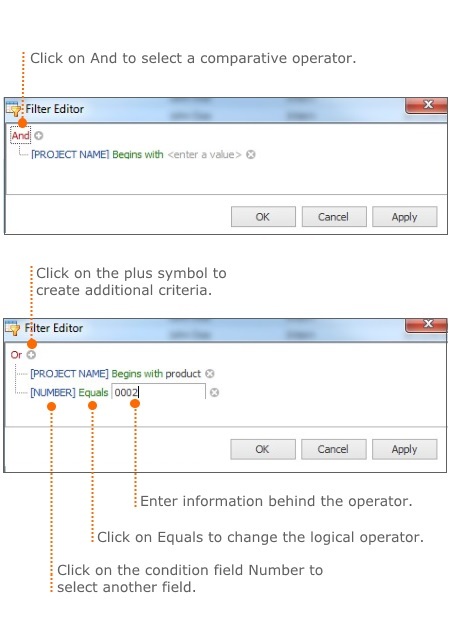 This chapter shows how to use the search function and filters when searching a project. 1. To open the project list click on Projects in the InLoox PM or InLoox now tab. 2. 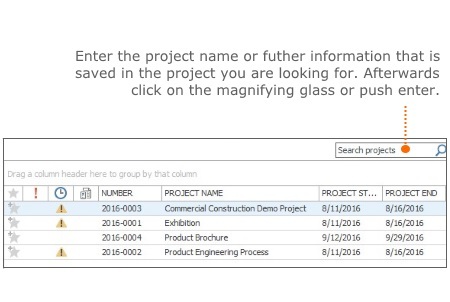 Click on the Search projects box above the project list. 3. All projects that include the entered text are shown. The search results are accessible on a side panel, even when you are opening a project. 4. 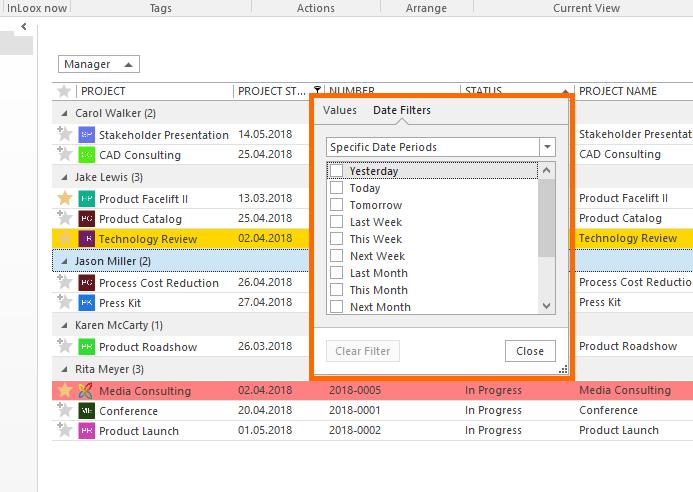 When you are finished close the search function by clicking on the X next to the Search projects box. Click on the funnel icon, which will appear if you mouse-over a column header. Then select the Date Filters tab. 2. Click on Filter in the start tab. 3. Create a filter criteria. 4. Click on Ok. InLoox shows all projects that meet your criteria. Search and filter projects • Copyright 1999-2019 © InLoox, Inc. All rights reserved.